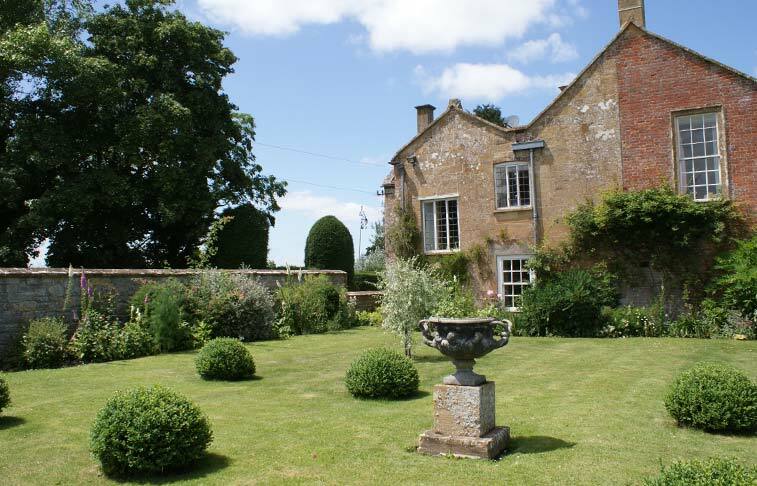 In the heart of the garden lies the beautiful 18th century Potting Shed. 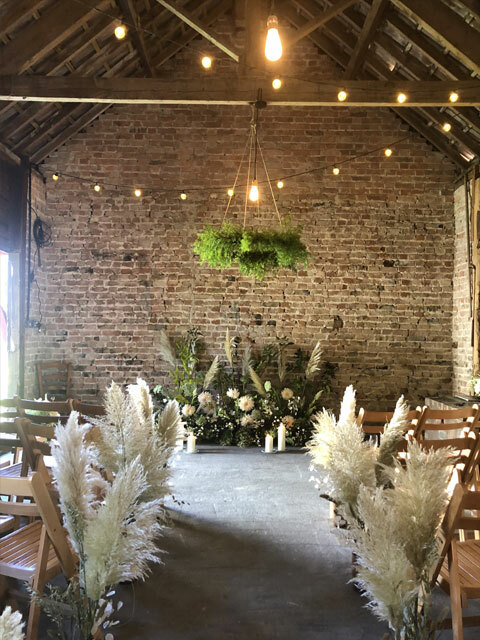 This huge barn has lovely old stonework and ancient beams covered in 1920s flower show prize cards, and it has a wonderful rustic and vintagey atmosphere. 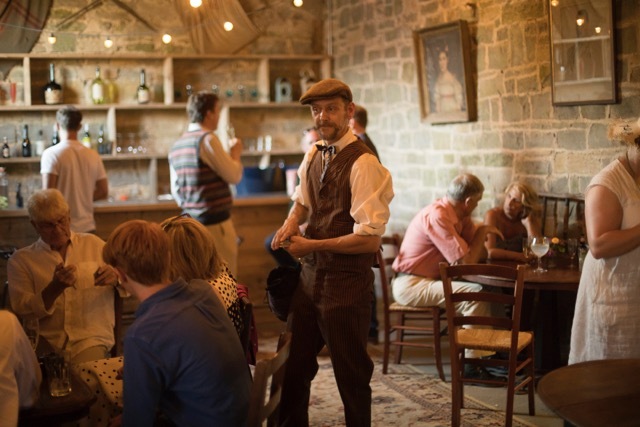 As well as seating up to 50 to 60 people on long trestle tables, it can accommodate up to 150 for a standing up drinks reception. 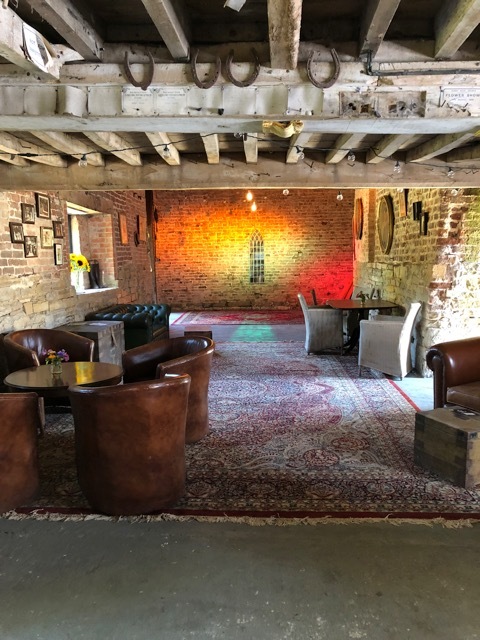 There is a bar, a pool table, Chesterfield sofas and chairs with plenty room to relax and chill out! 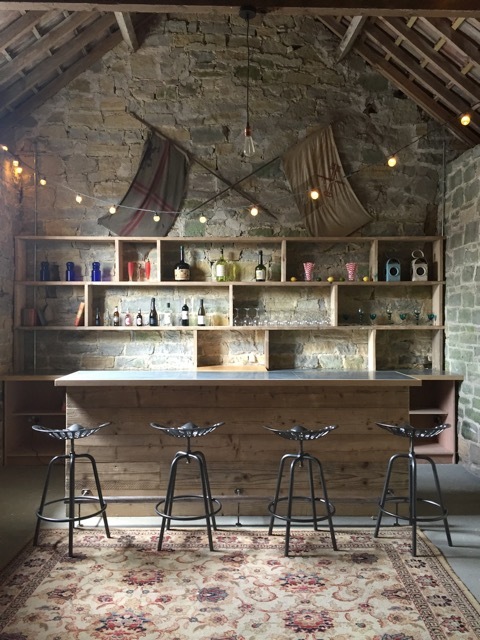 The Potting Shed can be used so many different ways, from a relaxed bar lounge, to exhibition space or pop-up summer dining club. 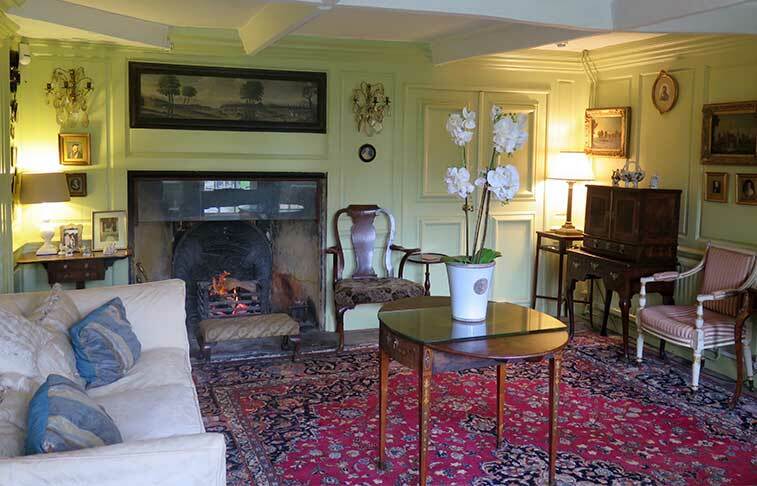 Attractive, inviting and fun, it is a wonderful quirky space. 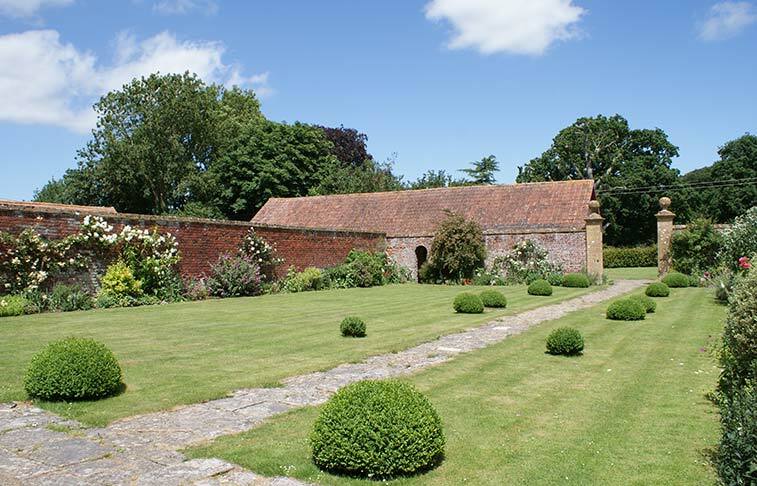 Step outside the house and you will find yourself in the 17th century walled garden, a beautiful and tranquil space that makes an idyllic setting for drinks and canapés. The walls are covered in rambling roses, and the borders are full of blooms and lavender. Beyond it are several other gardens, including the Round Garden, which is perfect for a large marquee or tipi, seating up to 150 guests. Abundant flowers, ancient oaks, yews and topiaries hedges blend together to create a feast for the eyes in this delightful traditional English country garden. At the end of the garden lies Washams Woods. 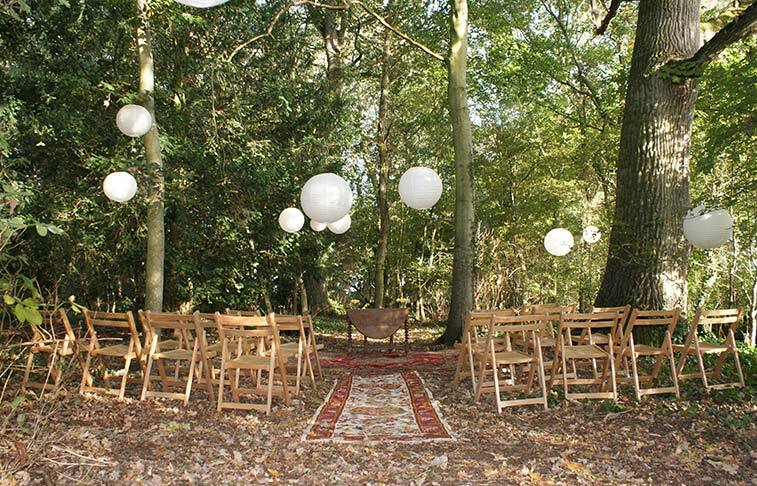 Being so peaceful, it is perfect for our beautiful ceremony space which we create for magical woodland blessings. 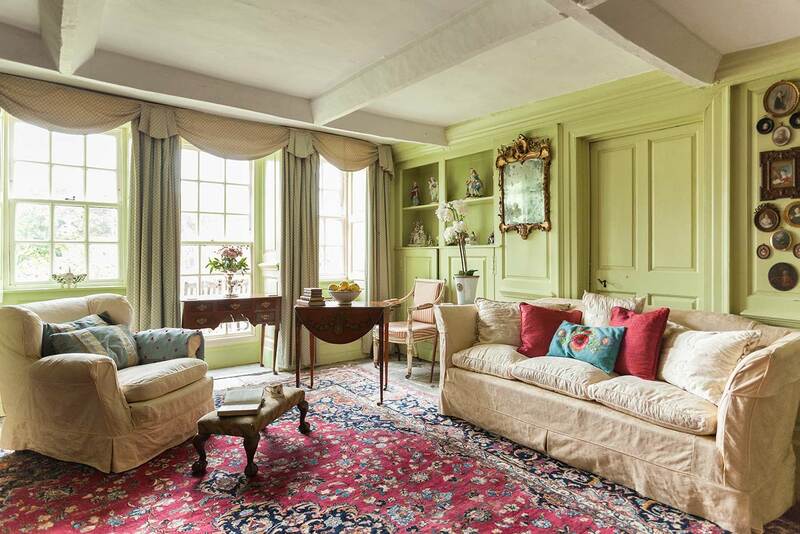 The house belongs to Alice and Jeremy Acton and their young family. 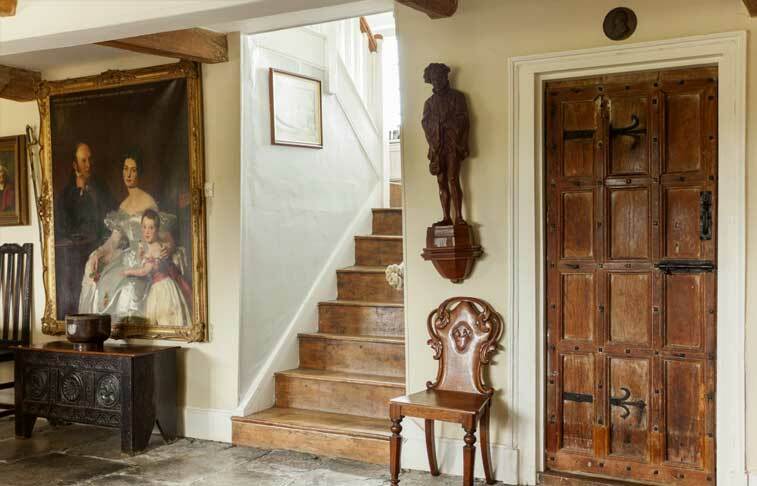 Alice’s family, the Cely Trevilians, built the house in 1540 and it is a traditional mellow stone manor of beauty and character with many of its original features, from mullioned windows to polished stone floors. 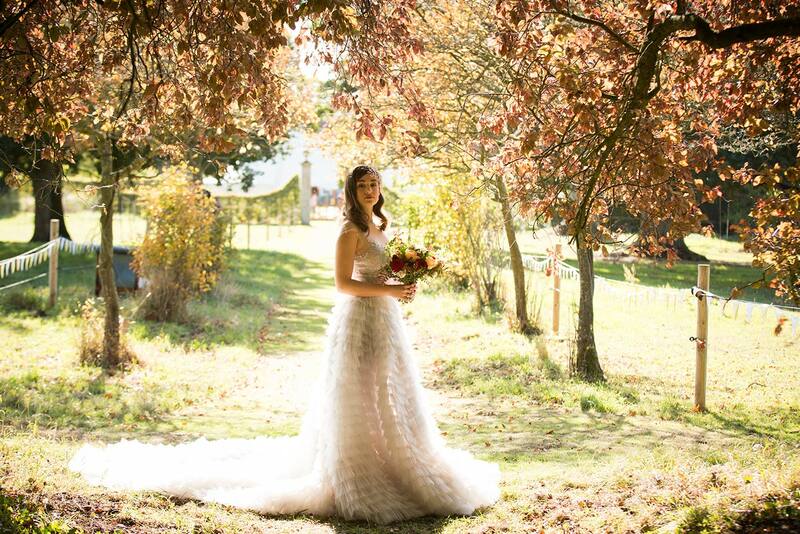 There is a variety of beautiful spaces both inside and out available for weddings, exclusive private dining, parties and much more. 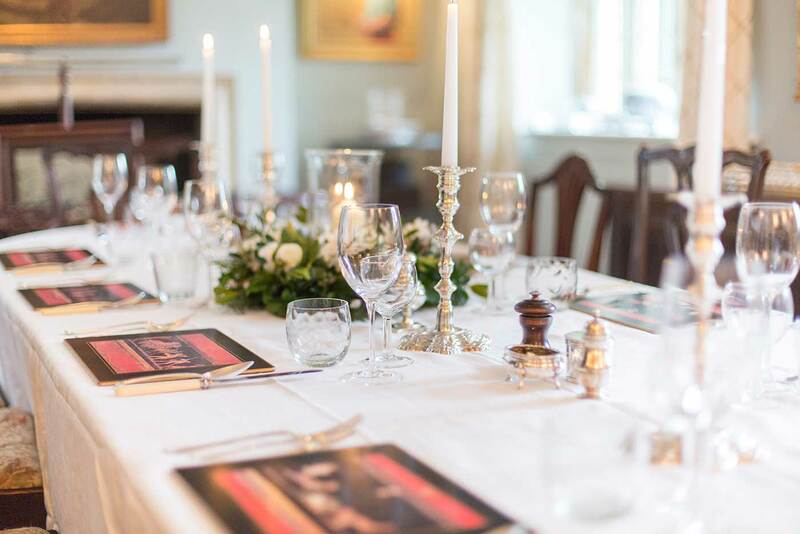 This beautiful room can seat up to 18 people for lunch or dinner and is perfect for private dining, intimate celebrations or business lunches. 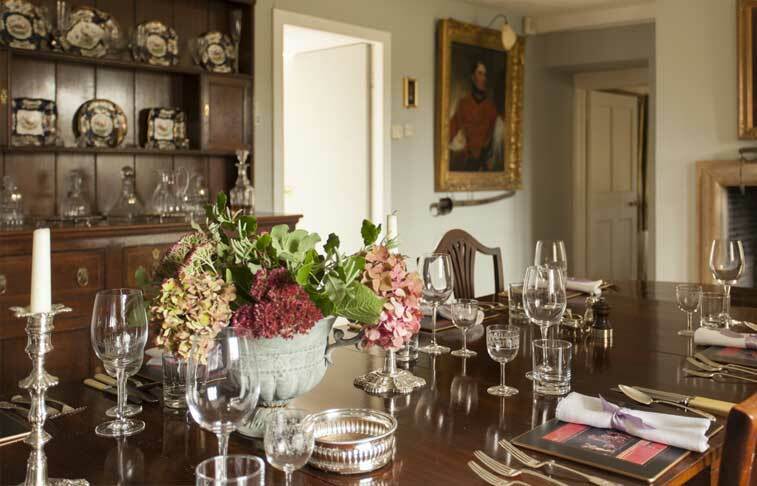 Enjoy pre-prandial drinks in the Van Wyk Room or the Hall, along with the wonderful sense of history that comes from the fine family portraits, wood panelling and roaring log fires, before sitting down to a delicious meal.